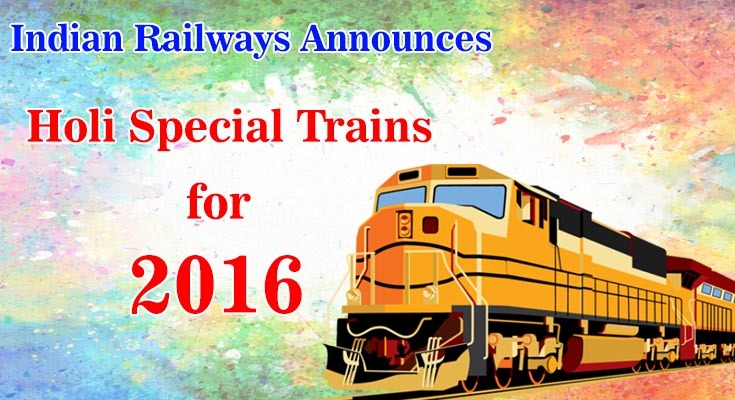 Indian Railways has announced the Holi Special Trains List 2016. As people want to celebrate the festival of Holi in their native places, they want to travel back home during the festival of Holi. Holi is a famous Indian festival and is celebrated all across the country. Special trains are introduced by IR on a temporary basis to handle the peak festival traffic. Holi is a colorful festival of colors and is celebrated by Hindus all over the world. It is the second biggest festival after Diwali. The festival is celebrated on the full moon of the lunar month of Phalgun at the end of the winter season in the month of March. The Holi festival is a traditional celebration of the victory of good over evil. To clear the extra rush during the Holi Festival 2016 all the railways zones – Eastern Railway, Northern railways, Western Railways and Southern Railways announced special trains for the convenience of the passengers. These special trains run from Mar 18 to Mar 25. The updated list is available on the IRCTC website.The special trains run on few selected routes, primarily in the northern and eastern India. The train details including the destination stations, the train timetables and all related details are available on the Indian railways website. You can also view this information on the Keyideas Mobile Apps. 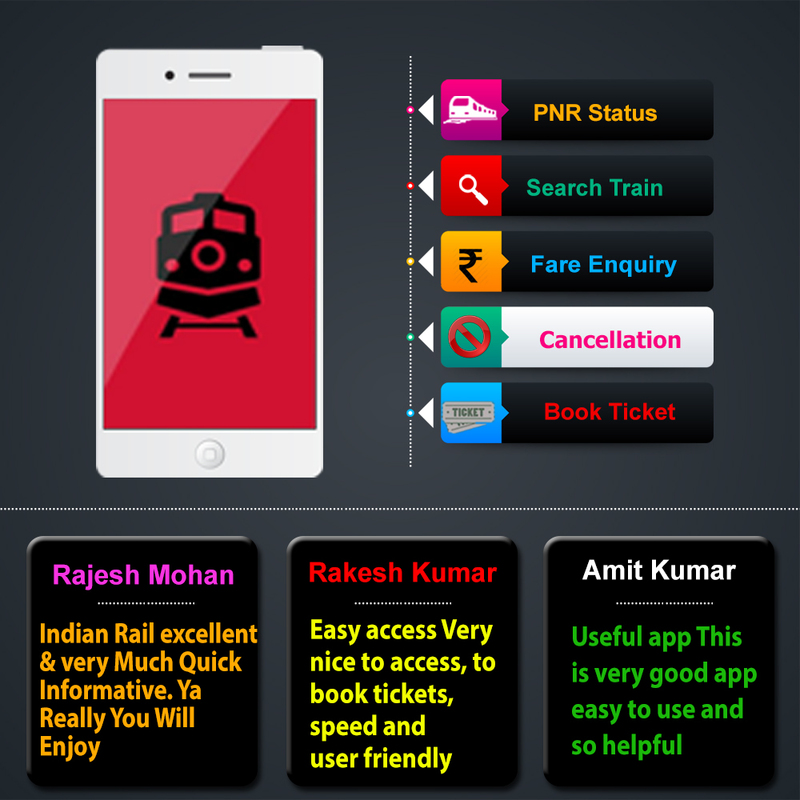 In addition you can book your tickets on these Holi Special Trains via the Mobile App. Special action has been taken by Indian Railways to ensure smooth functioning of reservation counters to cater to the heavy demand. Every year the Indian Railways announces fully reserved Special Trains for the Holi festival in order to control the extra rush of passengers travelling to their hometown. Below is the list of Special Trains announced for Holi 2016.